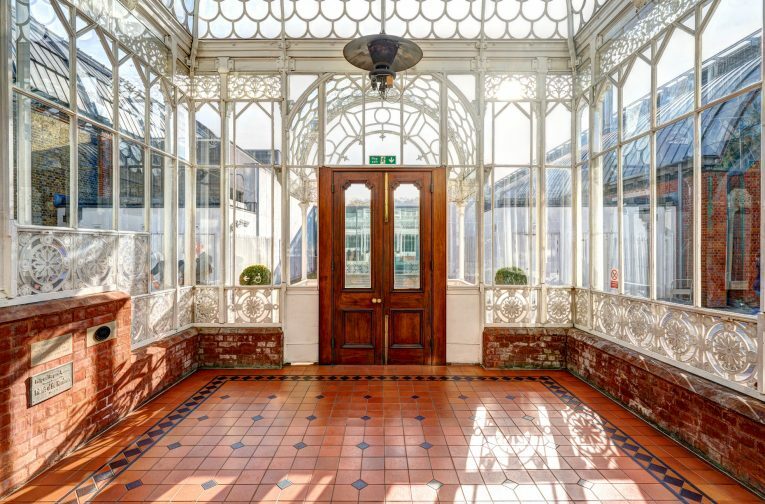 The Grade II listed Coombe Cliff Conservatory at Horniman Museum was originally commissioned in 1894 by Frederick John Horniman for his house at Coombe Cliff in Croydon as a place to tend his rare plants and offer his mother a garden sheltered from the elements. The building is considered a pioneering example of architectural cast ironwork in its day. In 1981, it was, however, dismantled and left as component parts at Crystal Palace Park (due to neglect and eventually fire damage in 1977). 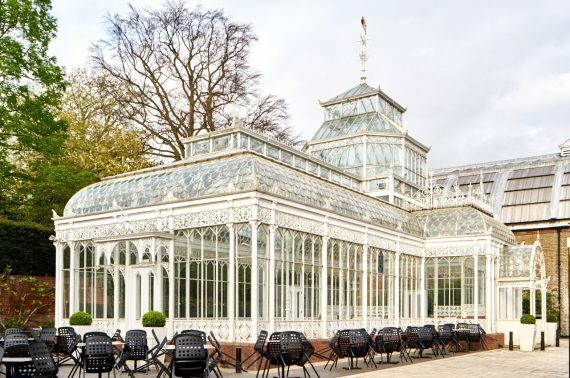 In the 1980s, English Heritage funded the rebuilding of the Conservatory at its current location on the Horniman’s 16 acre site in Forest Hill. 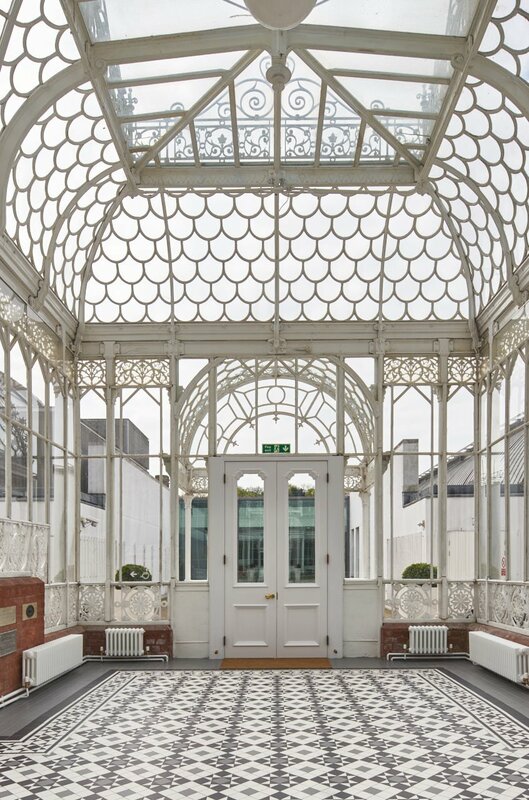 It now sits adjacent to the main Museum building and is used as an events venue. 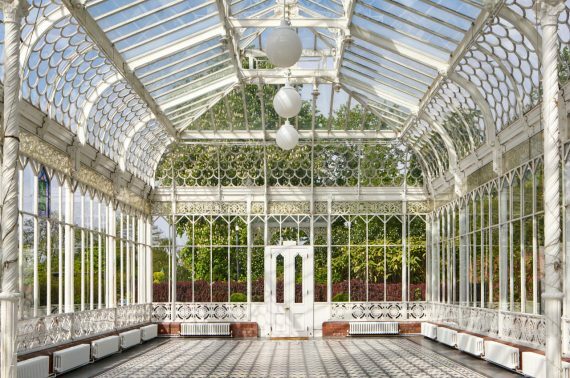 The brief for Donald Insall Associates was to ensure that the Conservatory functions in an optimal way by increasing its viable lettable period to third parties. 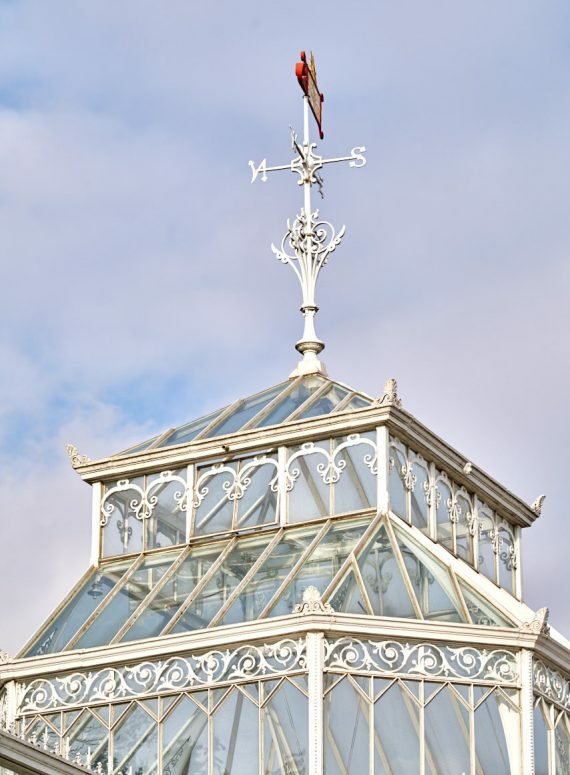 Improvements to insulation and heating were critical in ensuring the Conservatory is usable all year round particularly as in the past the building had over heated in the hotter months and leaked heat in the winter making it too cold to operate as a venue for the Horniman. New lighting has also been installed to improve the functionality of the space. 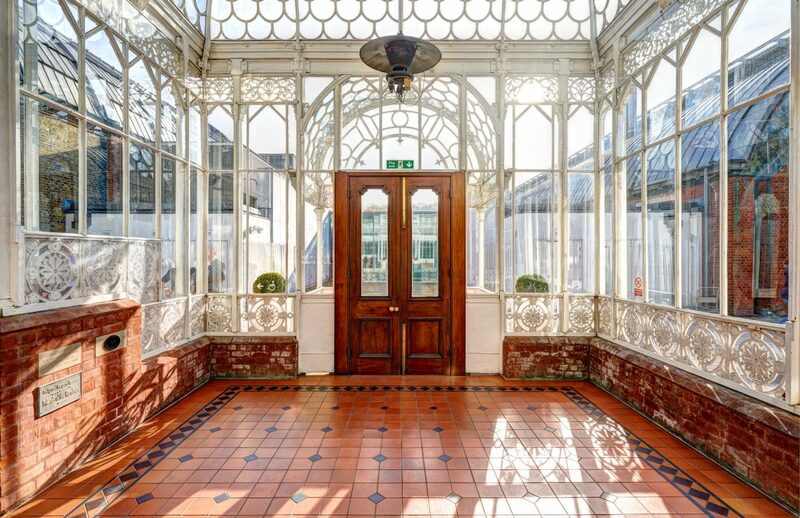 We also wished to reinforce the historic aesthetic of the Conservatory by replacing the existing quarry tile flooring with Victoriana geometric patterned polychromatic tiles.